Unfortunately there are no online version of this album that I could find. If you were into downloading you could do so at your own risk here. George Harrison was one of The Beatles. If you don’t know that you clearly grew up under a rock. As the lead guitarist he helped shape their sound and create something that they could only create as a whole. McCartney and Lennon however, as the principle songwriters, were the guys in charge. This often left Harrison in the shadows, with only the odd song of his making the cut. Towards the end of The Beatles career Harrison came into his own. He had found peace within Eastern Mysticism and the Indian culture and music. By the time they released their final lbum “Abbey Road”, Harrison had a hit single in ‘Something” and had finally cemented his worth as a serious musician. Upon the dissolution of The Beatles, Harrison had already released two instrumental solo albums. 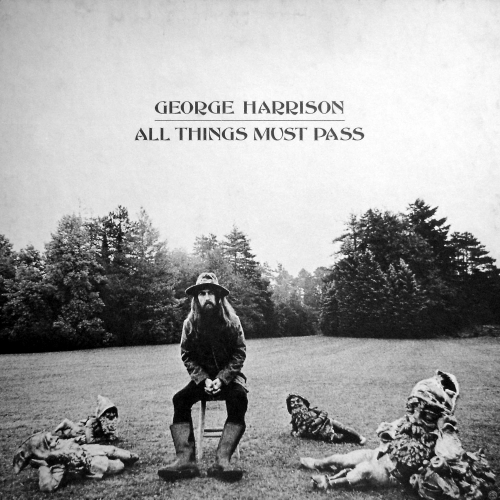 “All Things Must Pass” is considered his first real solo album. Imbued with Spector’s ‘wall of sound’, there are tracks here that wouldn’t be out of place on a Beatle album. But there is something else happening here. Over the course of a little under two hours, there are many musical styles brought in, from Harrison’s much loved folk, to Indian sitars and tablas, to blue guitar jams. The lyrics also delved into themes of God, love and other spiritual themes. The star studded cast of musician also lends to the quality. If it wasn’t for George, The Beatles wouldn’t have ended up sounding like they did. Harrison is an amazing and often understated guitar player. He played with no ego, adapting his style to suit what will best suit the song. It is not surprising to me that he found interest and solace in Eastern Mysticism. It was this influence and his guitar playing ability, as well as his humility, that pushed the band the extend themselves into new areas and ways of playing music. Listening to “All Things Must Pass” in the way we are for this project, as a complete whole’ actually does it a bit of a disservice. The album was actually released as a triple-vinyl. That means it has 6 sides. The first two albums, and the first 4 sides, were the album proper if you like, with the third album consisting of improvised jams and was titled “Apple Jams”. This album when taken track by track is really quite brilliant. As a whole however it does feel somewhat bloated. Actually, it feels a lot that way. It’s easy to understand how after years of being in Lennon and McCartney’s shadow that he would just throw it all to the wind and do exactly as he pleased on “All Things Must Pass”. Unfortunately for the listener it does make it pretty heavy going. It is important to acknowledge however, that Harrison was only 27 years old when he recorded this album. To have that much talent and scope to tackle so many different styles of music in one piece really is something else. We shouldn’t let the sheer magnitude of what he was trying to achieve with “All Things Must Pass” to take away from the fact that the man is a brilliant musician. I’ll be honest, it took me quite a few listens to get into this album. And even then my mind would often wander about two thirds of the way in. There’s something about it though that kept drawing me back. Favourite songs include ‘My Sweet Lord’, ‘Isn’t It A Pity’, ‘What Is Life’, ‘Apple Scruffs’, ‘All Things Must Pass’ and the brilliant jam ‘Out of the Blue’. George was always my favourite Beatle. I was concerned with my first few listen to “All Things Must Pass” that this may change. I’m glad I took the time out the delve a little deeper and come back full circle. My advice is to give the album a few listens and find out which of the songs speak to you most. Cull the rest and make yourself a “Best of All Things Must Pass”. It would be a shame that this album was overlooked because of its breadth. It’s worth putting in the effort to find the masterpieces contained within. Right, George Harrison. You owe me. You owe me big time. For a start you make “All Things Must Pass” completely inaccessible short of going to a shop and buying your cd. So I trekked to Clay’s place to borrow his copy and trekked home again. Good. Album acquired. I start the album and listen to ‘I’d Have You Anytime’. It’s a bit dull, but we’ll push on. ‘My Sweet Lord’ comes on. Hang on, I know this one. I know it, but it’s not much more entertaining. Then I get a great guitar intro. I expected this from a guitarist of Harrison’s calibre. Shame it took three tracks to there. ‘Wah Wah’ is easily my favourite track on this behemoth. It got my hopes up. Those hopes were instantly dashed with the next track, ‘Isn’t It A Pity’. Yes, it is a pity. Wait. How long is this album? 105 minutes? The best part of two hours. You’re having a laugh Harrison. 24 tracks? I’ll be really honest here. 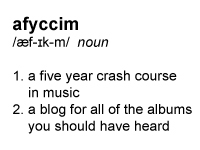 It’s not in the spirit of AFYCCIM, but I couldn’t finish it. I tried. On the Rolling Stone’s “500 Greatest Albums of All Time”, “All Things Must Pass” placed a measly 433. I couldn’t help but shake the feeling that this album was massively over produced, and clearly this is due to one Phil Spector and his Wall Of Sound. The reverb tracks are sometimes unbearable, and upbeat tracks are so busy, so noisy it’s almost like white noise. To be honest I expected a lot more from this album. One of the best guitarists the world’s seen and we get a showcase of boring folky tracks and some slide guitar. Considering this was supposed to be Harrison’s breakout from the Beatles, I’d have preferred he left it with them. It’s strange to think that George Harrison went so long without receiving recognition for his work, with Lennon and McCartney turning down his songs. I guess in the end it worked out, when he became the first solo Beatle to have a number 1 hit, with ‘My Sweet Lord’. As far as debut albums go, “All Things Must Pass” is top notch, providing a cross-section of Harrison’s emotions following the break up of the Beatles, establishing him as more than the lead guitarist of the biggest band in the world, moreover cementing him as an accomplished singer and songwriter in his own right. I enjoyed listening to some of Harrisons lesser-known songs, such as the Dylan-esque ‘Apple scruffs’ and ‘Ballad of Sir Frankie Crisp (Let it Roll)’, and the gloriously uplifting ‘Awaiting on Yyou All’. This one is particularly clever, because it sounds like a rock-hymn, but it’s actually a criticism of the confines of the church’s values. I really dig the tempo and the rhythm of this one, it’s my favourite song off the whole album, closely followed by the title track, ‘All Things Must Pass’. It has a restrained prog rock feel to it, and could easily have been adapted and recorded by Pink Floyd, in fact I kind of wish they’d thought of it. You can also see the heavy influence that The Band’s “Music from Big Pink” had on the development of this song. There is no denying the world-class musicianship displayed on “All Things Must Pass” as a whole, and with a star-studded session musician lineup that included Eric Clapton, Ringo Starr, Gary Wright, Badfinger and more, how could it be any other way!? Overall, I thought that this was a banging debut album and definitely proved to the world that George didn’t need to stand in the shadow of McCartney and Lennon any longer. It seems that more is more when it comes to George Harrison’s triple album solo debut. A lot of Harrison’s songs had been rejected by the Beatles and when they dissolved, he found himself with a wealth of excellent work. 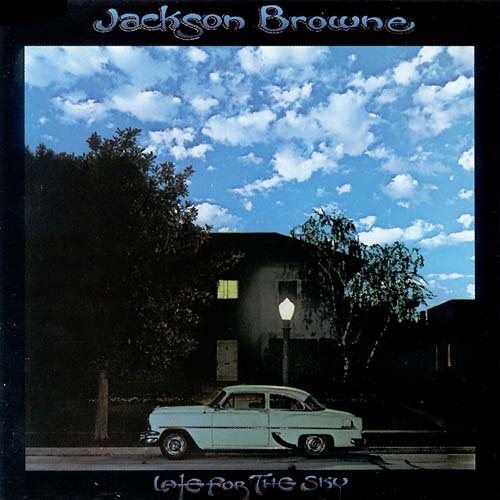 While the first two records make up these songs, the third record consists entirely of jam sessions with the musicians Harrison was working with, among them Eric Clapton. Although they’re not terrible, the jams aren’t hugely interesting, and I think the album would have benefited greatly from their exclusion. I think one version of ‘Isn’t It A Pity’ is enough too; they take up nearly twelve minutes running time! There are some wonderful songs here though: the smash hit ‘My Sweet Lord’, a great version of Bob Dylan’s ‘If Not For You’, the eerie ‘Beware of Darkness’, and the stirring title track are all big highlights. However, Phil Spector’s ‘wall of sound’ production techniques reach overkill levels throughout the album. ‘What Is Life’ starts off well with a great guitar riff, coupled with a bass and another guitar part before the rest of the band crashes in. The drums sound terrible and the brass is nearly overpowering. As the song finishes, a string section is also thrown into the mix and it’s a big mess. Thankfully the tune is quite catchy, but the same thing happens to ‘Awaiting On You All’ which sounds like it was recorded in someone’s bathroom. The sonic landscape is almost suffocating on tracks like ‘Art of Dying’ and ‘Let It Down’, while the venom underneath ‘Wah-Wah’ is severely diluted by the cacophony of instruments and voices. Spector does get it right sometimes, particularly on the lovely opener ‘I’d Have You Anytime’ and ‘Behind That Locked Door’, which are quite sparsely produced. Harrison’s distinctive slide guitar and great songwriting are the stars of an album that probably should have been shorter.